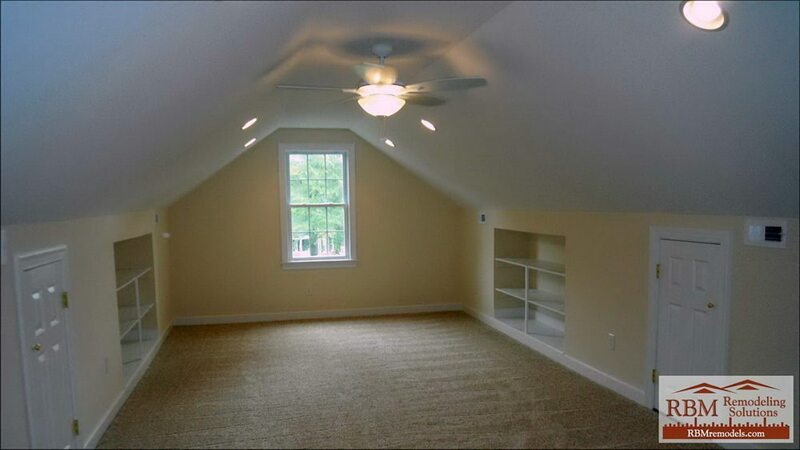 Here are some completed photos of an existing attic space in Henrico Co. that we converted to living space. 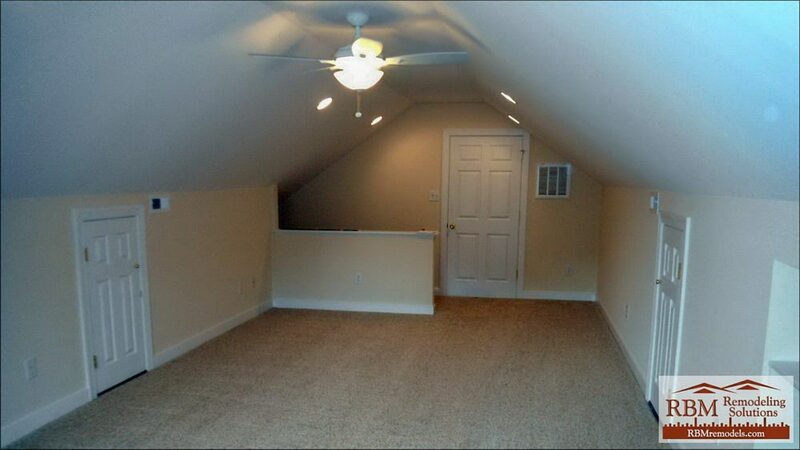 The existing attic space was strictly a utility space and storage area. We relocated and the HVAC return, framed in knee walls, a new window and partition walls. Rafters sometimes need to be framed down for today’s new energy driven building codes for insulation. Walls were insulated to R-13 and ceilings to R-38. Sheetrock for this attic measures 1/2″ in thickness and was placed in the attic when the framing was boomed up from the street. Attics and basements are the least expensive way to add equity to your home. Many homes have potential living space in the attic that will increase the equity in your home by almost a $100.00 per foot. Finishing or adding a dormer can make an small if no exterior change and create a media room, bedroom, etc. that adds more footage to your home.